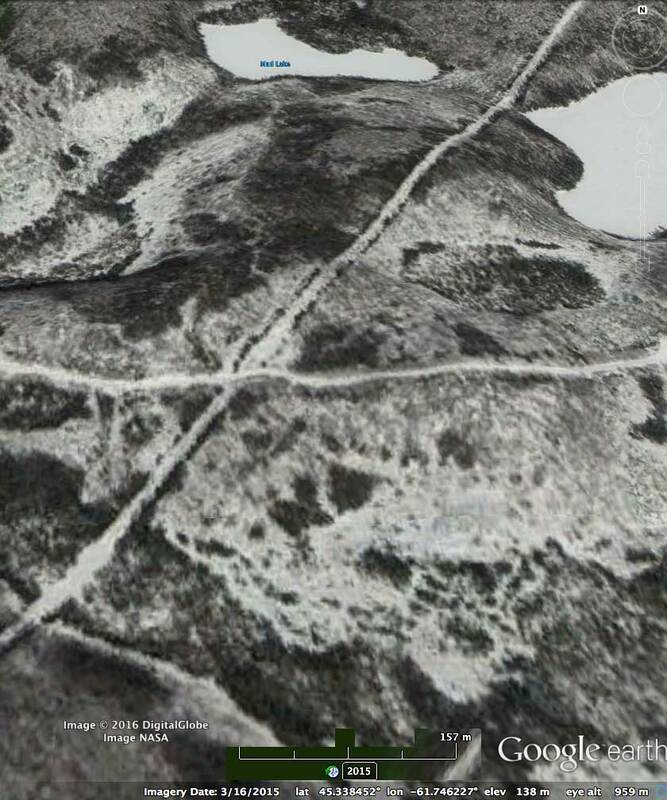 2015 Aerial imagery of crown land in eastern Nova Scotia cut sometime before 2007. NS Energy Minister Michel Samson reassured Peter Ritchie recently that “We recognize that the science around forest biomass carbon accounting is evolving” and that “harvest of primary forest products for all uses from Nova Scotia… remains within sustainable harvesting levels” See HFC post. Perhaps there should be a handout for visitors arriving by air explaining that “the clearcutting may look bad, but we assure you, it’s sustainable”. “One thing I do want to make clear — the status quo isn’t good enough, so if anybody’s thinking we’re backpedalling on the strategy, we’re not. We’re going to try to find the kind of common sense part of this, but there’s going to have to be some changes,” said MacDonell.”I see this specifically in clearcutting. There’s too much of it, and with all respect to the technicians and everybody, we harvest about 100,000 acres a year, and damn near all of it is clearcutting. There’s not enough people in this room to convince me that that’s appropriate for 100,000 acres.” MacDonell stressed the importance of a provincial strategy that would consider the health of waterways, wildlife and forestry in the future. Premier Dexter moved John MacDonell out of DNR in January of 2011 replacing him with Charlie Parker… and the rest is same-old same-old as they say. This entry was posted in Biomass, Tree Harvests. Bookmark the permalink.